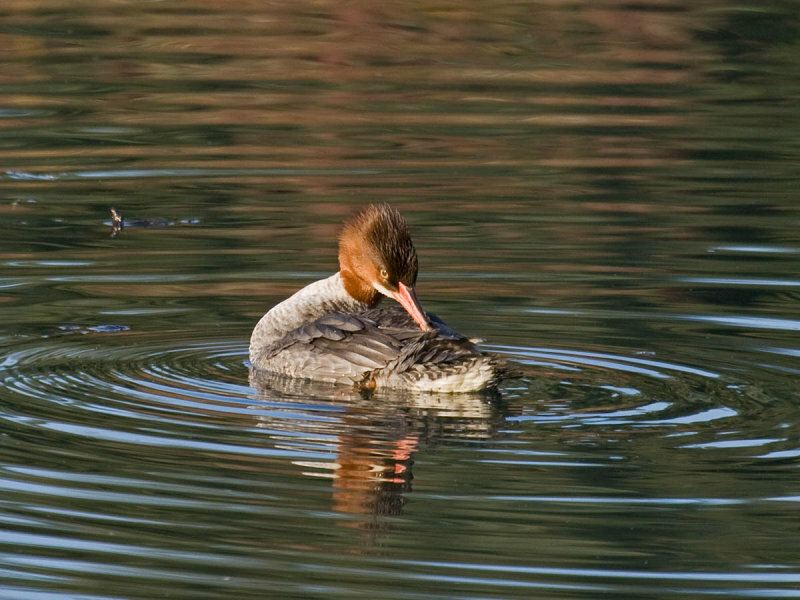 Preening is a vital activity that cares for a bird's feathers. Feathers are necessary to insulate, protect, and decorate a bird. If not properly cared for feathers become dirty and pest-ridden. 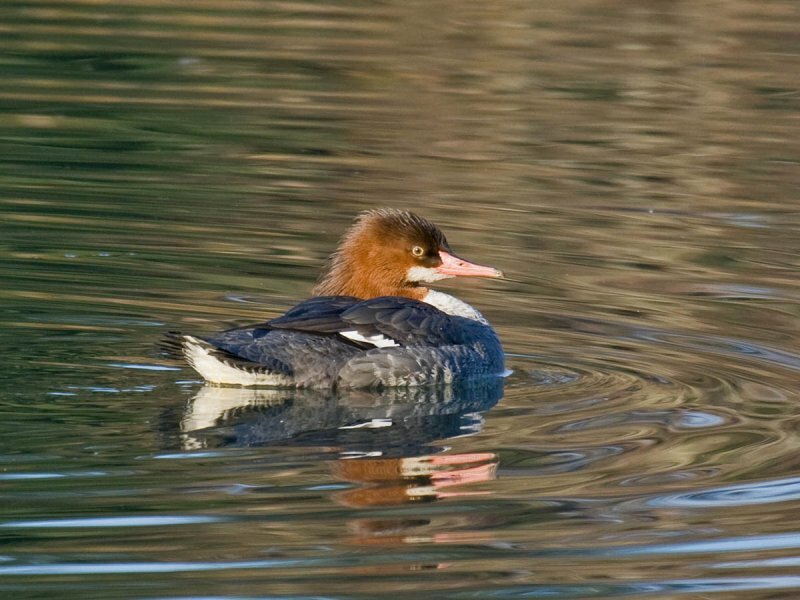 Feathers in good condition are necessary for this female Common Merganser to fly efficiently and swim without becoming water-logged. 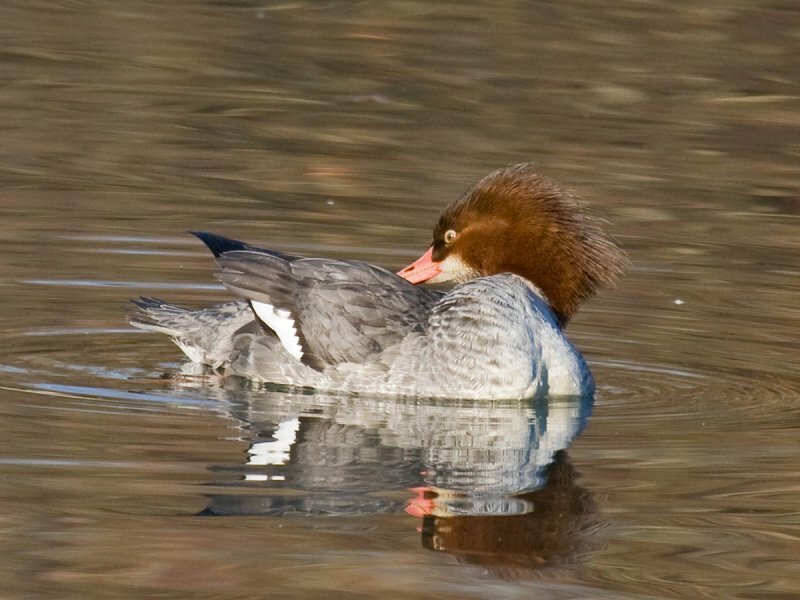 A gland near the tail provides an oil that she rubs on her feathers. She rubs her bill in the oil and then distribute it to other areas while preening. Evidently, the oil is not absolutely essential for waterproofing--the feather structure itself does that. But the oil does help keep the plumage healthy. It's hard to reach everywhere! She grasps feathers in her bill and removes dirt and insect pests. At the same time she pulls the feather through her bill and re-forms the feather vanes--zipping up feathers whose webs may have split apart. 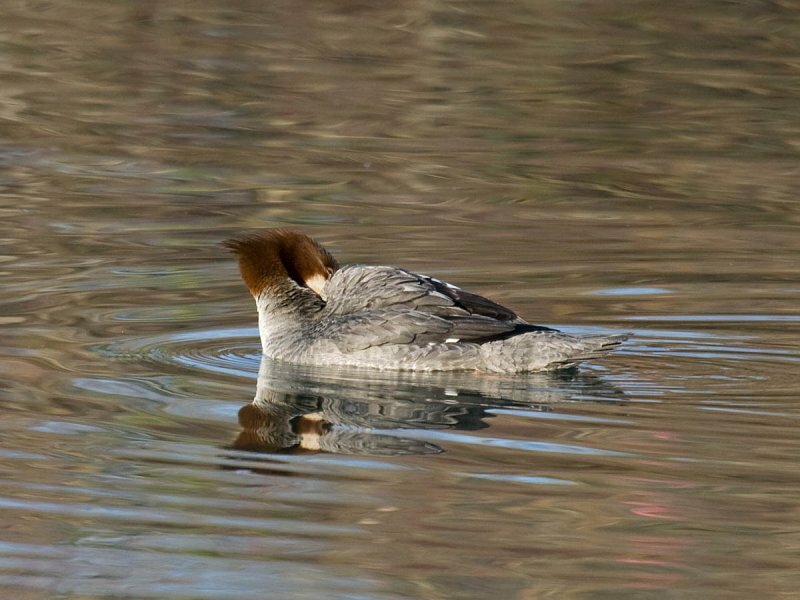 Wonderful images to show the preening process for this merganser Greg! A wonderful post filled with fantastic images and interesting information! It's always fun to watch birds preen. Thank you for sharing! Nicely done. I had a general awareness of that process but not in so much detail-thanks-great photos too! 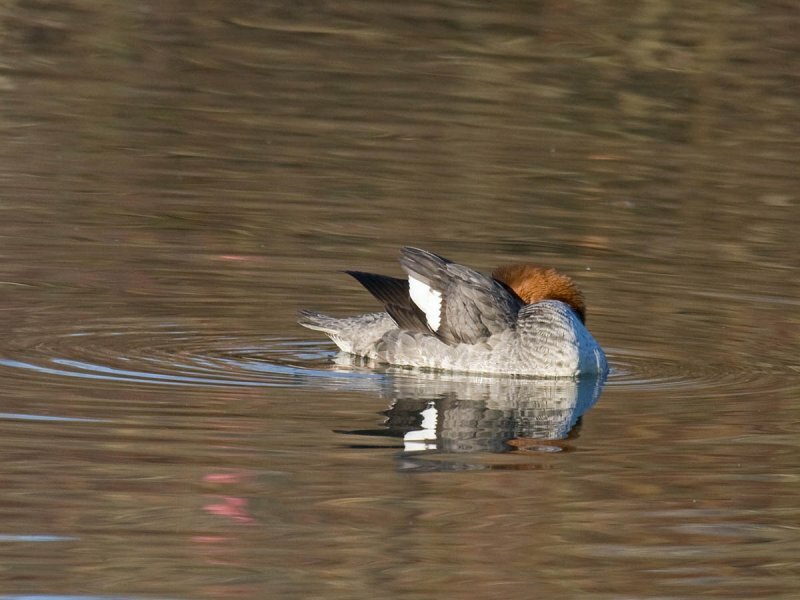 ...a beautiful series of photos showing all the preening postures! what a nice series of photos of the duck. I've never seen this duck, but I'm glad I now see. Really beautiful set. Nice pics! Difficult to get close to these beautiful birds. Mia, this series of images is just beautiful. Greg, what a wonderful series of photos to illustrate such good info! I love to watch birds preen because they seem so relaxed when they do it and then I relax! Often I wait until the birds are done preening to take photos, so that the bird's eyes are in focus (the 'normal' way to photograph birds). But this series just seemed to work out. It told a story. Thanks for the compliments.